I got featured on the “Freshly Pressed” section on WordPress and so a lot more people are seeing what I find. It’s kind of exciting. If you’re new, welcome to the blog! The back story: I came across this massive pile of stuff on the side of the road next to Montreal’s Jeanne-Mance Park, which is one of the most elegant streets in the area. Talking to someone revealed that someone had passed away and the executor of the estate decided to just throw everything out. Apparently a lot of good stuff was taken before I got there, but because people generally don’t open garbage bags (or don’t see what I see) I was able to bring home some great finds. I’ve had a few other posts about the things I brought back from this place (the 1st, the 2nd, the 3rd, and the 4th). And now, for the last chapter of things from this place. 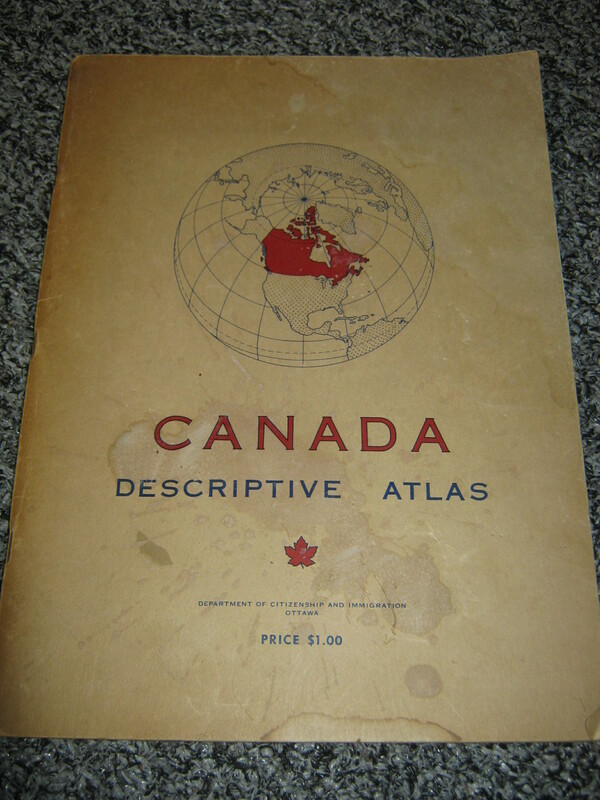 This is an atlas published by the Canadian Department of Citizenship and Immigration in 1951. Other than the water stain on the front cover it’s in really good shape. I’m guessing that this would be something you’d buy if you were trying to get Canadian citizenship back in the day. True to it’s name it’s very descriptive. 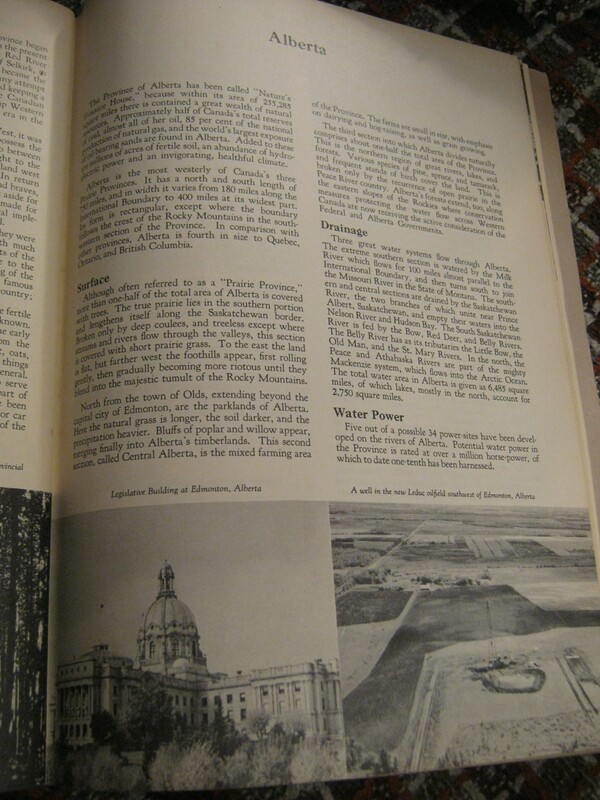 Each province is described in several pages and a map is given for each, featuring not only the towns and cities but also the resources that are found in the area. 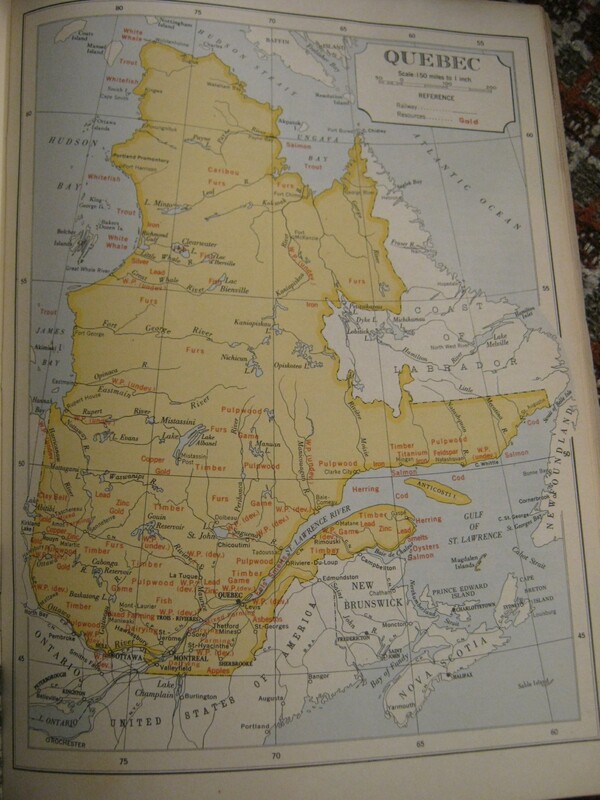 The maps are a great look into Canada’s resource history. I think I’ll take a look through it later and learn a bit! I was pretty excited when I found this. It’s definitely the oldest book I’ve ever found. 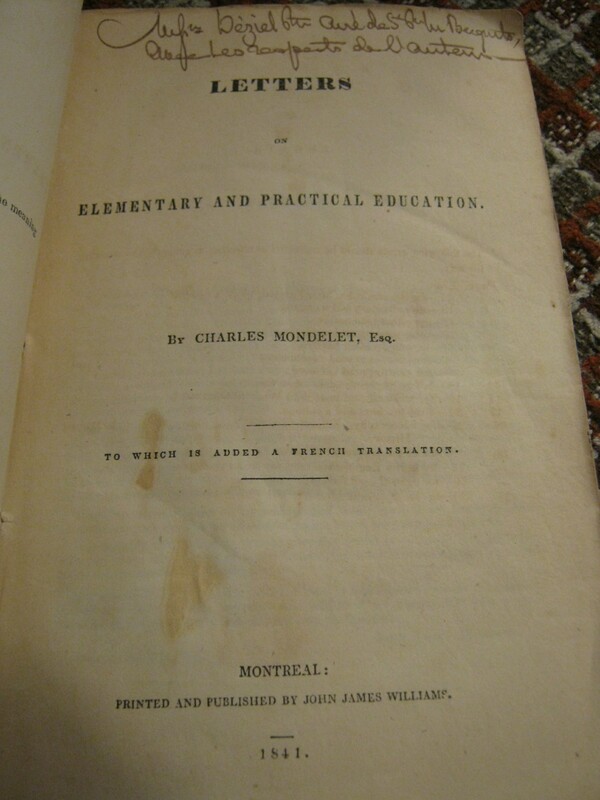 It was published in 1841 and seems to be a first edition. You can feel the imprint on the lettering, which is much different from modern books. It seems to be signed, or at least written on, by the author. 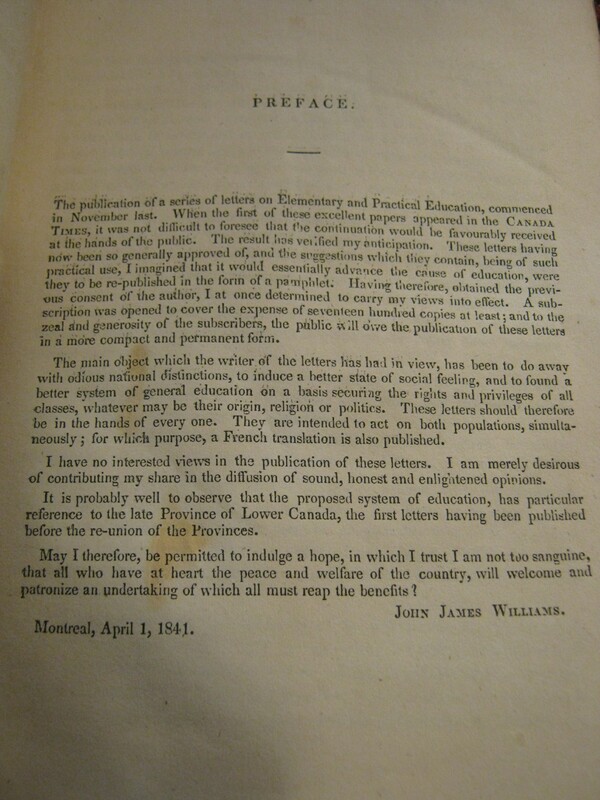 The opening page is written on: the first line is hard to point understand, but the second says “avec les respects de l’auteur” (with the respects of the author). I found another 1841 copy of this online and that copy also had this sort of inscription written in it, so it was most likely the author. Sounds like quite a nice contrast to Lord Dunham’s horribly racist report that I looked at last time! 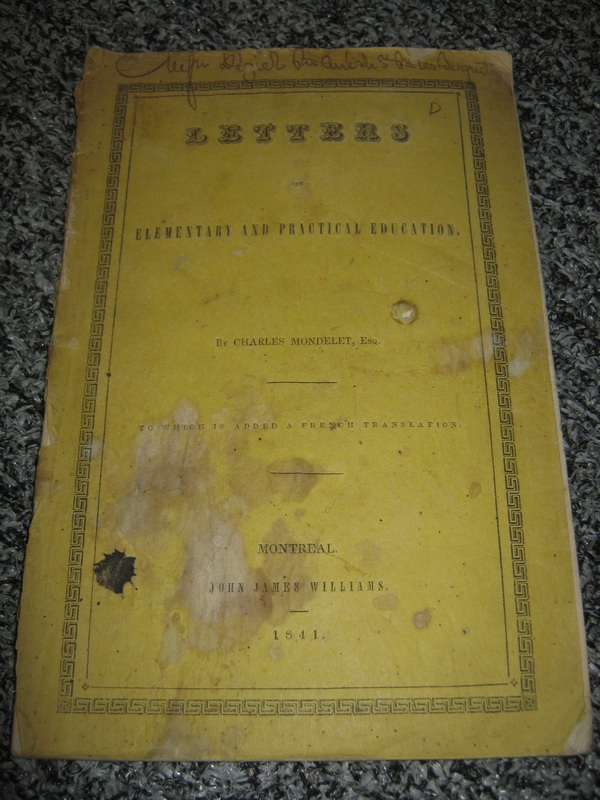 The book itself is in good condition for something from 1841. The cover is stained and battered and the spine is weak (though still holding together), but the actual inside of the book is very clean and in excellent condition. It may have an interest to a collector. I love this kind of stuff. I imagine it’s a home-made card, printed off using a dot matrix from the 80s. It just feels like this simple print-off captures a certain time and a certain feeling very well. That’s it for now. I lied: there might be one more post in this series. 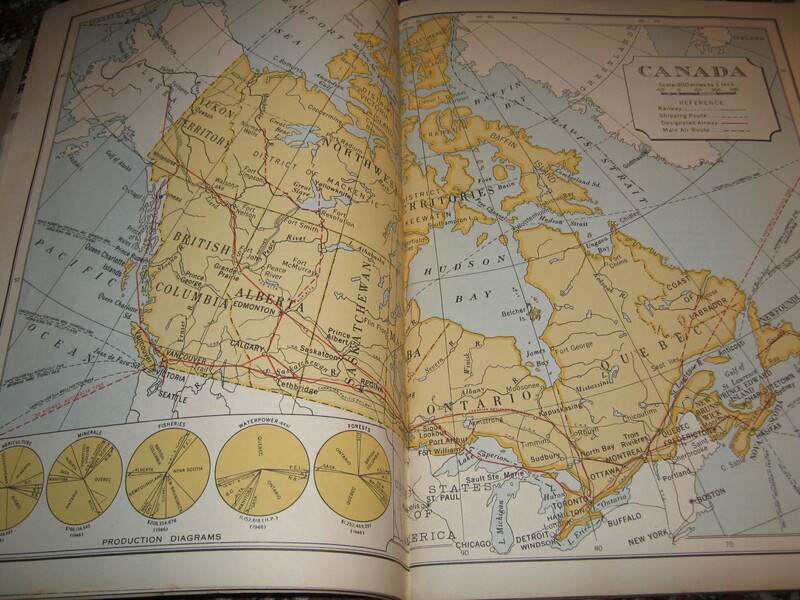 I also have some cool old maps from the 50s that are really beautiful, but I think this is good for now! 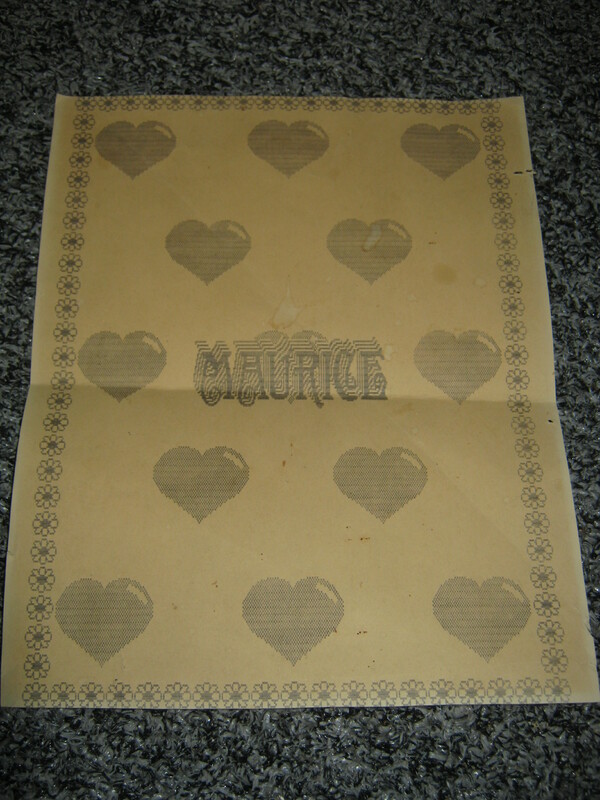 Interesting bits of ephemera. Looking forward to seeing the old maps.